File Types: AI, JPG, All Files; File Size: 1.75 MB; Requirements: Adobe CS1+; Layered: Yes; Vector: Yes. File Formats: AI CS2, EPS8, JPEG (5000x3325). Preview image is watermarked to protect the image. Original file has no watermark. Files are fully editable vector, you can resize it with no limitations. 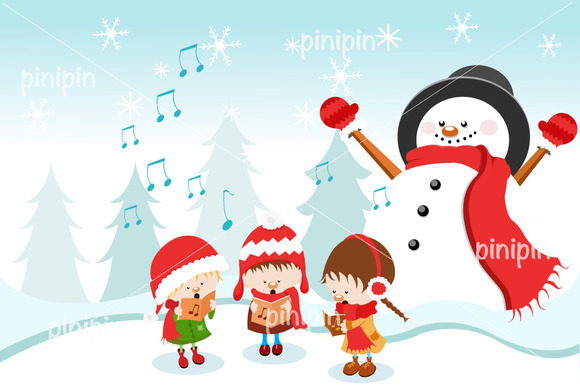 Keywords: kids, children, christmas, carol, song, singing, snowman, winter, snowflakes, snow, merry, happy, vector, cartoon, characters, cute, holiday, pine tree, outdoors, santa..
Best ddsign template, vectors, illustrations, video templates from creative professional designers with After Effect, PhotoShop, 3DS Max, Cinema 4D or InDesign. Full details of CreativeMarket Kids Singing Christmas Carol 464589 for digital design and education. CreativeMarket Kids Singing Christmas Carol 464589 desigen style information or anything related.